Are you currently looking to save some extra money on different household and everyday items? If so, this is the post for you! One of my hobbies is going to the Dollar Store to find the best deals and hacks that any person can use to stay on budget and save money. I have always loved checking out the Dollar Store to find items for my house and to find fun things that will entertain my children. So, when I am not finding ways to make extra money I often check out deals at my local Dollar Stores. 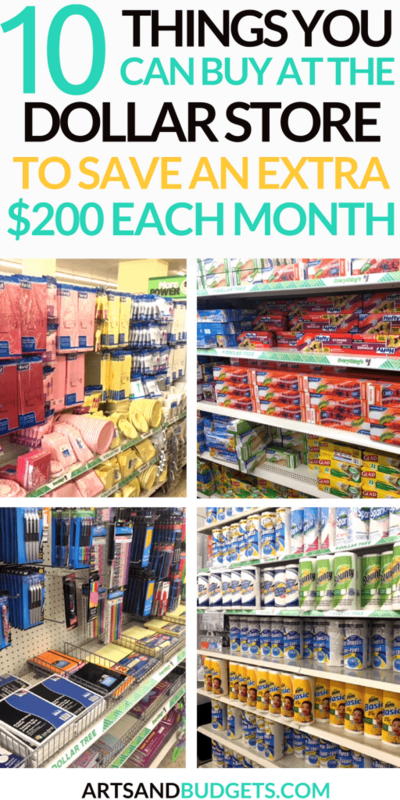 By going to the Dollar Store for certain items I have been able to save around $200 a month which equals out to be $2,400 a year! 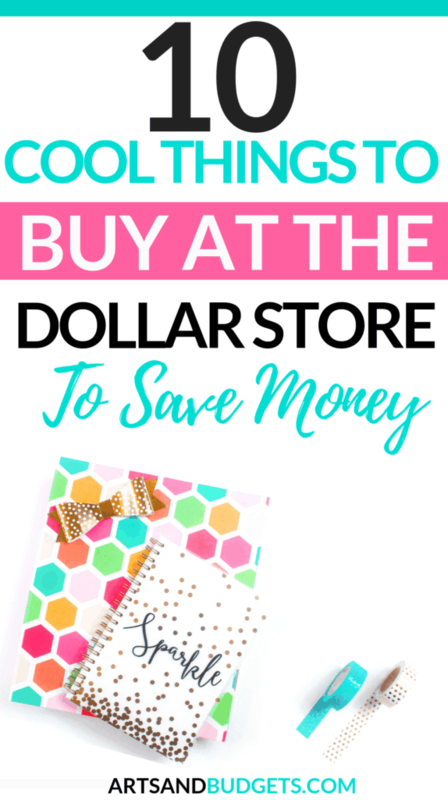 After seeing how much we saved from picking up certain items from the Dollar store I decided to write a whole post on the top items that I get from there to save money. Let’s dive in to find some goodies. One of the main things I get from different dollar stores is party items for events. When I was pregnant with my first son I got a ton of decorations right from the dollar stores for his baby shower. I saved a lot of money on items that would have cost me much more from places such as Party City. For his baby shower, I purchased items such as table cover sheet, plates, cups, eating utensils and more. I even got vases and flower table decorations to decorate the tables nicely. Do you have a major sweet tooth today or just looking for some candy for the party? 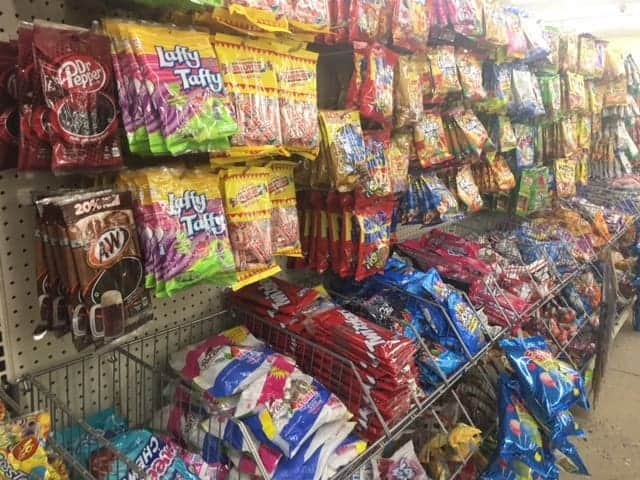 If so you can totally get name brand candy right from dollar stores such as the Dollar Tree on a budget. When I had my son’s first birthday party I got candy from the dollar tree for the party bags to save $30+ bucks. After I got the candy I picked up some party bags and put the candy in the bags for the guest. Since I am not a huge candy person I don’t buy a ton but it does come in handy for party and events. Where are the makeup lovers at? Did you know some of the top beauty gurus use makeup right from the dollar store?. I recently saw a video of a beauty blogger who used dollar store make-up and she looked flawless. The video was by a blogger named Raye and the video has over 1 million views so far. Talk about amazing.! So, if I need to add to my makeup collection I pick up a few make-up items right from the Dollar Store to stay on budget. 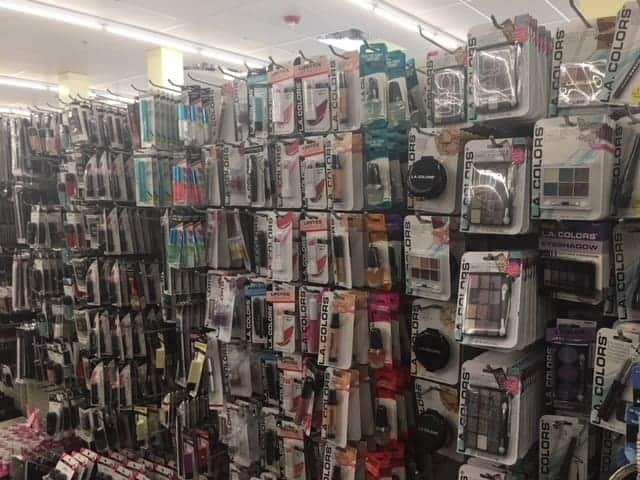 So, if you are looking to stay on a budget with your makeup check out Raye’s video and see which make up items are the best to get from the Dollar store. 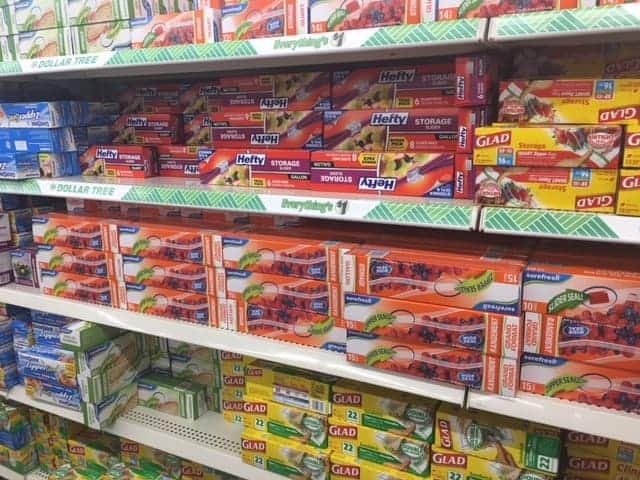 If you are looking to stay on budget and keep your house clean you can totally pick up cleaning supplies right from a dollar store. 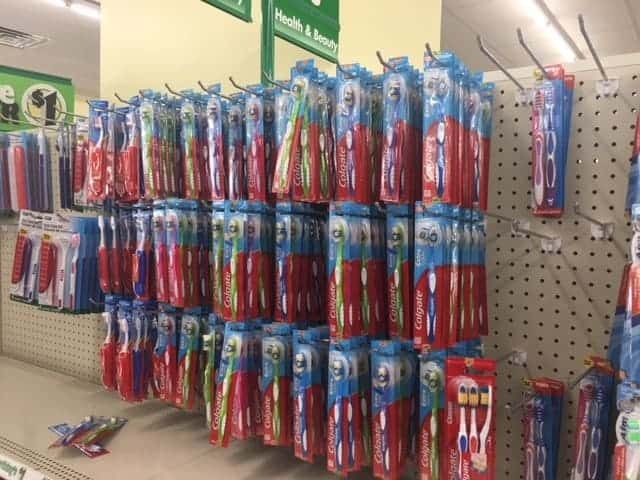 I absolutely love getting cleaning supplies from the Dollar Store because they tend to always have a large stock of different items. So, If I am on a budget I totally go to my local dollar tree and pick up cleaning items for my house. The awesome thing about picking up items from the Dollar tree is that they have name brand items such as Arm & Hammer, Dawn, Lysol and more. I normally pick up items such as cleaning gloves, bleach, and floor cleaning soap. 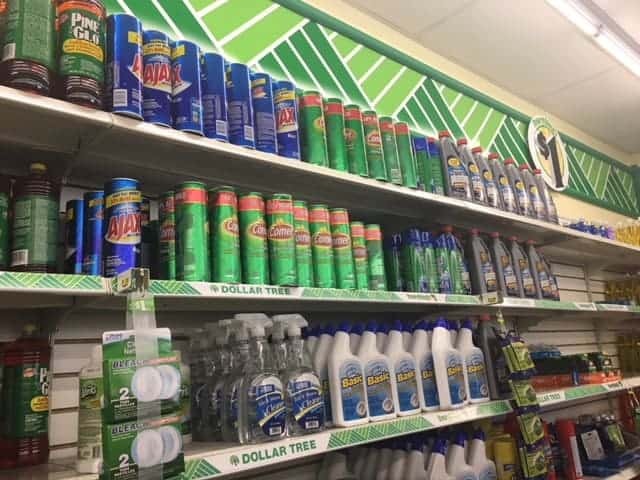 You can find a ton of cleaning supplies right at the dollar store for a low price. My house always runs out of sandwich bags quick so it’s a huge plus that my local dollar tree has them in stock everytime I go there. My husband and I go to the Dollar Store to get a ton of sandwich bags and stock them up in my house. Since we go through sandwich bags so quickly it helps us stay ahead of the game. So, if you have children in daycare or school you can totally get their sandwich bags for their lunches right from a dollar store and save a ton of money every month. If you are looking for quick hair supplies such as ponytail holders, brushes, and combs you can totally grab them at your local store. I have gotten ponytail holders and other hair supplies right from my local Dollar Tree. I know first hand how expensive hair supplies can be so being able to save every now and then is a plus for me. I would often spend so much money on hair products and accessories that I knew I needed to find ways to save in that area. In the past, I would go to different stores where the supplies cost more and buy a ton of items and my bill would be over $50 almost every single time. So, checking out what my local Dollar Stores have in accessories has helped me save and budget effectively. 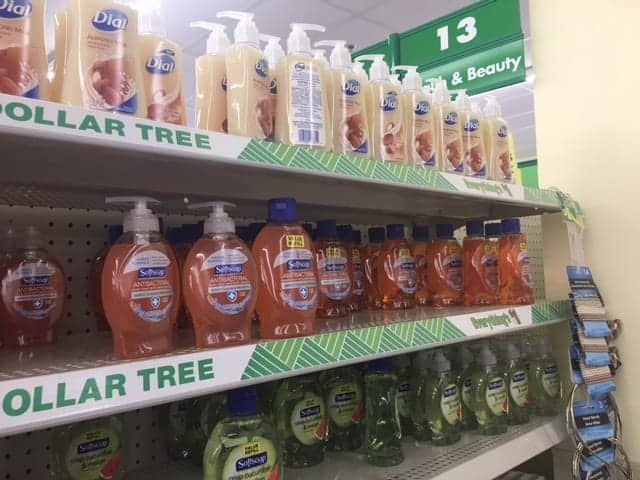 So, if you’re looking to save money totally check out the different brands of hand soaps at your local dollar store. Running low on storage containers? If so, check out Dollar stores such as the Dollar Tree or Dollar General to stock up on new storage bins for food. I love buying storage containers for food from the Dollar Store because they have so many to pick from and so many different colors. I am currently on a journey to lose 20 lbs and the containers I got from my local Dollar Store have come to my rescue and helped me save so much time and money. So, If you are meal prepping buying multiple food storage bins is a great way to get super organized. With my meal storage containers from the store, I map out all my meals for the week and store the bins in the fridge. You can also get some great deals on foil for freezing meals as well. 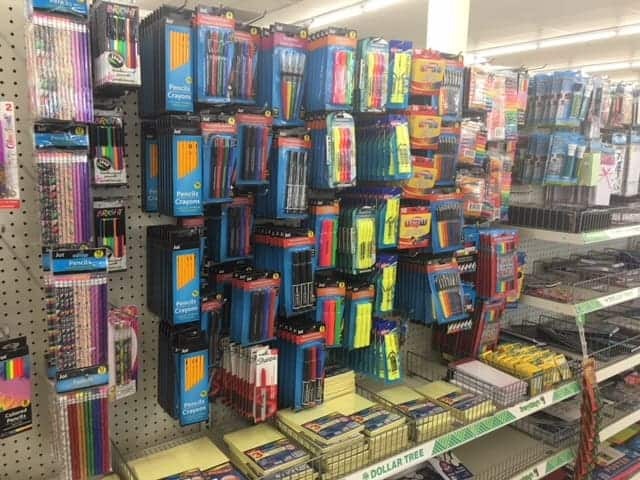 Did you know you can find great school supplies right from the dollar store? Whatttt? Yes, you can and the quality is great too. You can also find great supplies for your office such as pens, pencils, notebooks, sticky notes, folders and more. I have gotten many supplies to help organize my office for my blog business. Oh! If you are looking to start a profitable blog but not sure how to start a blog click here! It’s a full tutorial on how I got this blog started and I how started making money. I totally pick up pens, folders, and organizers right from the dollar tree and save a ton of money getting those items from there. So, if you are low on supplies for your children or even for yourself, check out the dollar store. 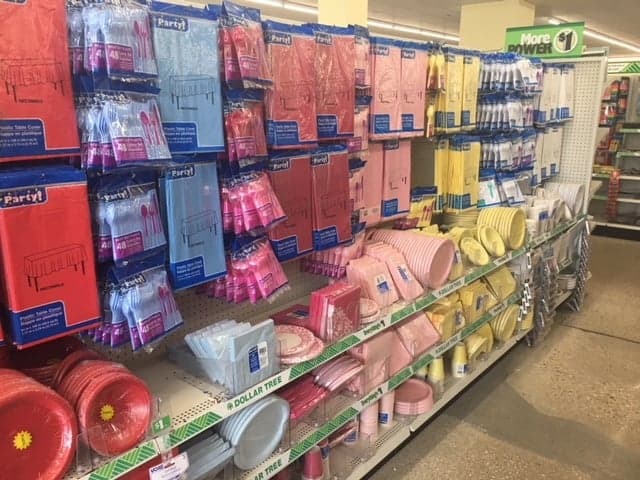 If you are going on a vacation or just want to stock up on personal on the go items you can find a ton of great items at the dollar store. I know a lot of people who buy their toothpaste right from the dollar store every month and save a great amount of money each year by doing so. Some of the items you can find are deodorants, mouthwash, cleaning soaps and more. *Pro Tips: Buy the name brand items over the generic brands at the dollar store of toiletries. Thanks for this list. One other item I like to buy at the dollar store is greeting cards, usually birthday cards. I love getting greeting cards as well. They have a great collection there. 🙂 Thanks for stopping by. My thoughts exactly! I often buy cards at the dollar store, Hallmark, no less!! Thanks for this post! It is a definite reminder that i need to hit the dollar store. Thanks for the list! Great ideas! This is so true. 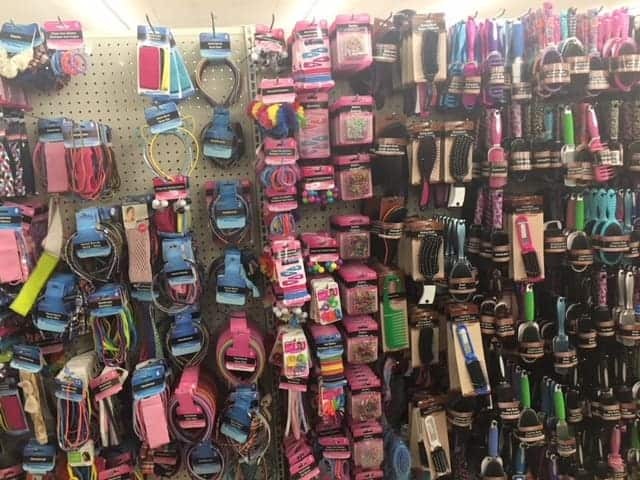 Dollar stores can have a lot of great items for way cheaper than anywhere else. Great list! The only thing I’d add here is to check the price against the size of the item you’re buying. For example, a small bottle of Dawn for a dollar isn’t much of a savings if your local grocery carries a bottle four times the size for $3. But I totally agree on the cosmetics, office supply and storage items. I also like to buy things like cooking utensils and glassware at my Dollar Tree. Yes! That’s a great idea. 🙂 Thanks for stopping by. The dollar tree is a great place to shop if you want to keep a budget but go in with a list of what you need bc I can get more on my list and spend more. Also the dollar general store is a great place to shop download the app and get coupons on app also they take outside coupons and you can great savings. Hello! 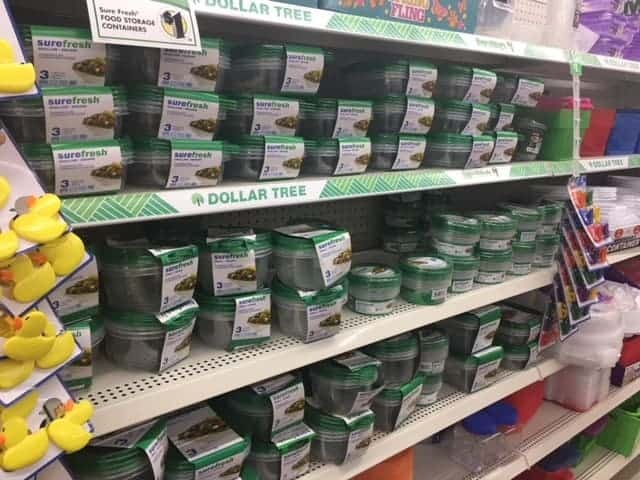 The Dollar Tree was recently introduced up here in Canada. Nothing is over $1.25. If you buy a bottle of dishwashing liquid, also purchase a small handpump, the type lotion is stored in. Buy a new one. Pour the dish soap in the dispenser and one pump to wash your hands and two for doing the dishes. I agree with everything except the makeup. I can’t personally use. All makeup. But you are on point.